 Professional Conservatory Roof Cleaning across Norfolk. Possibly the second most expensive outlay you will ever make is probably your conservatory and just like everyone else that has one it was at the time and maybe still is, your pride and joy. Afternoons and evenings spent looking out onto your garden can give immense pleasure but can be so easily spoiled if the sunshine isn't actually getting into your conservatory. 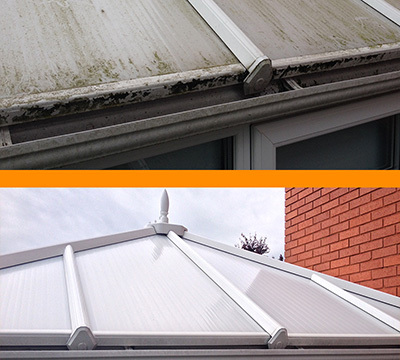 Conservatory roofs can very quickly become covered in dirt and debris, moss and algae can flourish too and sadly these can all stop the sunlight getting through making your once bright, welcoming conservatory dull and uninviting. Go bright can make your garden room bright again bringing the sunshine right back in very easily and cost effectively. Using our state of the art pure water cleaning system comprising of telescopic carbon fibre poles and purpose made brushes along with 100% pure water and a mild environementally friendly cleaning agent we can remove all of the dirt, debris and algae from the glass and frames making your conservatory look as good as new.